I want patients to know that they aren’t alone. I hope they feel the support that I do when I walk into the doors of CTCA in Suburban Chicago. Every day that Michelle Bregenzer comes to work at Cancer Treatment Centers of America ® (CTCA), Chicago, she feels motivated by smiles from her fellow caregivers and her amazing patients. “I love that our hospital leadership encourages us to always put the patient first,” says Bregenzer, who has worked at CTCA® since 1998. Bregenzer earned an associate’s degree in nursing from the College of Lake County, where she spent some time as a clinical instructor to third and fourth-year nursing students. Bregenzer received a bachelor’s of science degree in nursing from Marquette University and then went on to earn a master’s degree in nursing at Seton Hall University. 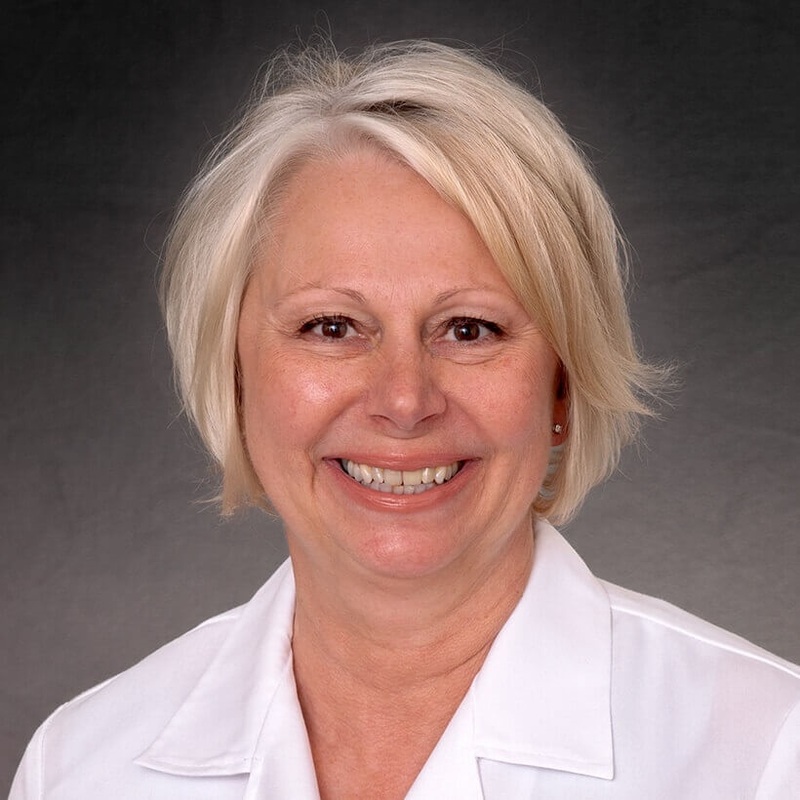 Bregenzer holds many certifications, is an Oncology Certified Nurse and is a member of the American Nursing Association. “I want patients to know they aren’t alone,” says Bregenzer. She believes that an integrative team, and care that involves the whole family, is important to battling cancer. Bregenzer joined the CTCA team after a nurse at a local hospital recognized her deep passion for oncology and helping others. Bregenzer works closely with medical oncologists at CTCA, including Dr. Bruce Gershenhorn, to provide care for patients in a hopeful, positive and innovative environment. Bregenzer enjoys spending time with her three grandchildren and the rest of her family, as well as power walking and gardening when she is not assisting patients.